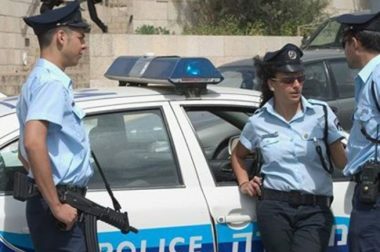 Israeli police officers detained, on Monday at dawn, four Palestinian construction workers from the northern West Bank governorates of Jenin and Nablus, reportedly for entering and working in Israel without permits. Media sources said the police detained Moath Ali, Kathem Abdul-Afo and Mohammad Ahmad Zyoud, from Silat al-Harithiya village, northwest of Jenin, in addition to Thabet Kamel Thabet, from Nablus, and took them for interrogation. On Sunday at night, Israeli soldiers detained two children, identified as Abdullah Bassel Abu Bakr, and Zeid Ahmad Ba’jawi, after stopping him at a sudden roadblock near their lands in Ya’bad town, southwest of Jenin. The two were interrogated for several hours before the soldiers released them.